Richard Sloan - Professor of Accounting, University of California (Berkeley). Amongst other research (e.g. R&D), he first identified the Accrual Anomaly.. 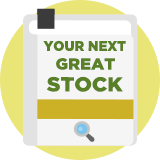 Here follow a selection of stock screening strategies that we have modelled based on the writings of or about Richard Sloan. These strategies are not endorsed by the author.